PACKER G. H. Medal Roll (Officers) - 25th London Rgt., attached 17th London Rgt. 2nd Lieut. PACKER Harold Arthur 3021 & 303252 Listed as formerly of the 25th London Regt. in "Soldiers Died in the Great War, 1914-1919". See entry & CWGC details. PAFLIN Basil 742453 Medal card : (1) Pte. - 25th London Regt. (2) Rifle Brigade - no.213487. [1/25th Regt. Address Book*] - 'A' Coy. - 11 Boarshead Tce, Halstead, Essex. PAGE Edwin J. 3945 Medal card : (1) Pte. - 25th London Regt. (2) Army Pay Corps - no.21243. PAGE Ronald James 3195 & 741432 Medal card : Pte. - 25th London Regt. - India .G.S. Medal Afghan 1919. [1/25th Regt. Address Book*] - 'D' Coy. - L.Cpl. - 3 Webster Rd, Bungay, Suffolk. PAGET Cyril Nevil Medal card & roll : Capt. - 1/25th London Regt. - India .G.S. Medal Afghan 1919. Card address - c/o Messrs Love & Co., 2 Temple Garden, London. [1/25th Regt. Address Book*] - Capt. - Fairhaven, Weybridge. PAINE Henry Selwyn (Tony) 740403 Medal card : Pte. - 25th London Regt. [1/25th Regt. Address Book*] - 'B' Coy. - 6 Warner Rd, Hornsey, N.
See further info & photos. PAINE Herbert Thomas 742586 Medal card : (1) Pte. - 5th London Regt. - no.9560. (2) 25th London Regt. (3) 2/1 Hertfordshire Regt. - no.270676. 5th London R. to 1(a) France 4.11.14 to 4.5.15. PAINE John Christopher 1179 Medal card : (1) Cyclist - 25th London Regt. Served from 7.8.1914 to 12.4.1915, discharged sick. PAINTER Roland Frederick 2031 Medal card : (1) Pte. - 25th London Regt. (2) London Regt. - no.740799. (3) 2Lt. - 1/81 Pioneers. Card addresses - (1) c/o Singer Sewing Machine Co., PO Box no.9, Delhi, India (2) 4 Montague Rd, W. Ealing. (3) 118 Cower ....ift St, Northampton. Medal roll : 25 Lond. Pte., India 3.2.16 to 25.5.17., 6(f)(v) 26.5.17 to 1.7.17., India 2.7.17 to 15.1.18., Commissioned 2/Lieut Indian Army 16.1.18. [1/25th Regt. Address Book*] - 'B' Coy. - L.Cpl. - 4 Montague Rd, Ealing, W.
PAINTON Cecil G. 1104 & 740196 Medal card : (1) Pte. - 25th London Regt. (2) A/WO.Cl.II - Royal Engineers - no.WR.199118. [1/25th Regt. Address Book*] - 'D Coy. - L.Cpl. - 20 Caithness Rd, W. Kensington, W.
PALFREY John George 2180 Medal card : (1) 25th London Regt. (2) Middlesex Regt. - no.267496. PALMER Beno D. 3103 Medal card : (1) Pte. - Middlesex Regt. - no.267451. (2) Pte. - 1/25th London Regt. PALMER Ernest O. 740476 Medal card : Pte. - 25th London Regt. [1/25th Regt. Address Book*] - 'A' Coy. - 111 Listria Park, Stamford Hill, N.
PAPPIN F. J. [1/25th Regt. Address Book*] - 'C' Coy. - 105 Roseberry Rd, Muswell Hill, N.
PARIS Sidney 911 or 922 Pension record shows he enlisted in the 25th London Regt. with service at home only. PARIS Thomas Augustus 741314 Died 25 Apr 1918. PARKER Alfred 742513 Medal card : Pte. - 25th London Regt. - India .G.S. Medal Afghan 1919. Roll : India 12-6-17 to 15-11-19. [1/25th Regt. Address Book*] - 'B' Coy. - 100 Frederick St, Caledonian Rd, Barnsbury, N.
PARKER Harry 740351 Medal card : Pte. - 25th London Regt. Served 'A' Coy. 1/25th in India. [1/25th Regt. Address Book*] - 'A' Coy. - Egham Wick, Englefield Green, Surrey. PARKER Rainald Fortescue 205166 Medal card does not indicate 25th London, but the Chailey website has him joining the 25th London initially. Medal card : Sgt. - Royal Army Service Corps. PARKER William Edward 223 Chelsea Pensioner record. PARKHOUSE Charles 1858 Medal card : (1) Pte. - 25th London Regt. (2) Somerset Light Infantry - no.275065. PARKINSON Samuel G. 740136 Medal card : (1) A/C/Sgt. - 1/25th London Regt. (2) 2nd Royal Fusiliers - no.GS/98346. - India .G.S. Medal Afghan 1919 & clasp Wazn 1919. Awarded "Meritorious Service Medal". Card address - 41 Gillingham St, Victoria. SW1. [1/25th Regt. Address Book*] - 'B' Coy. - L.Cpl. - 41 Gillingham Rd, Pimlico, S.W. PARKINSON Sydney 1102 & 740194 Medal card : Pte. - 25th London Regt. PARR Harry Victor 2095 & 740852 Medal card : Pte. - 25th London Regt. - India .G.S. Medal Afghan 1919. [1/25th Regt. Address Book*] - 'C' Coy. - 106 Fountain Rd, Tooting, S.W. PARR Richard Ernest James 740404 Medal card : A/Sgt. - 25th London Regt. - India .G.S. Medal Afghan 1919. [1/25th Regt. Address Book*] - 'C' Coy. - L.Cpl. - 117 Turners Rd, Bow, E.
PARRISH A. [1/25th Regt. Address Book*] - 2nd. Lt. - 'The Cottage', Stareton, Warwicks. PARRY Albert G. 1866 & 740688 Medal card : Pte. - 25th London Regt. [1/25th Regt. Address Book*] - 'A' Coy. - 66 Ballance Rd, S. Hackney, N.E. PARSLOW Percy John 622, 643 Chelsea Pensioner record. PARSONS Harry 742069 Medal card : Pte. - 25th London Regt. [1/25th Regt. Address Book*] - 'B' Coy. - 15 Flaxman Rd, Longboro' Junction. PARSONS William 696 Medal card : Cyc. - 25th London Regt. Served from 18.2.09 to 10.2.16. Discharged - over age. PASCOE Henry J. 77 & 740009 Medal card : Cpl. - 25th London Regt. [1/25th Regt. Address Book*] - 'D' Coy. - 98 Felsham Rd, Putney, S.W. PASHLEY Horace Victor 741182 Medal card : Pte. - 25th London Regt. Medal roll : 25th London R. Pte., Posted 10th London R 4(b) 28.12.17 to 12.7.19. PASSMORE Percy G. 1741 & 740597 Medal card : A/Sgt. - 25th London Regt. [1/25th Regt. Address Book*] - 'C' Coy. - Sgt. - 159 Glencoyle Rd, Streatham, S.W. PATERSON Alexander Frederick 580, 650 Chelsea Pensioner record. PATERSON George Andrew 2071 & 740832 See info & photos. PATES Henry C. 2040 Medal card : (1) 25th London Regt. (2) Pte. - Middlesex Regt. - no.267458. PATTISON Albert Edward 740305 Medal card : Pte. - 25th London Regt. [1/25th Regt. Address Book*] - 'C' Coy. - 20 Sebert Rd, Forest Gate, E.
PAUL Albert W. 8 Medal card : (1) Sgt. - 25th London Regt. (2) Somerset Light Infantry - no.275001. PAUL Austin G. 176 & 740015 Medal card : Sgt. - 25th London Regt. [1/25th Regt. Address Book*] - 'A' Coy. - Sgt. Invicta Villas, Shooters Hill Rd, Woolwich Common. PAYNE Dudley C. 1372 & 740352 Medal card : Pte. - 25th London Regt. PAYNE Herbert P. 971 Medal card : (1) Pte. - 25th London Regt. (2) Machine Gun Corps - no.94413. Card addresses - (1) 41 Northall Rd, Bainehurst?, Kent. (2) 245 Lincoln Rd, Millfield, Peterborough, Northants. PEACOCK Percy Henry 1123 Medal card : Cyc. - 25th London Regt. Served from 5.8.14 to 15.1.15. Discharged sick. PEARCE Albert B. H. 2571 & 741086 Medal card : Pte. - 25th London Regt. [1/25th Regt. Address Book*] - 'D' Coy. - 65 Mayall Rd, Herne Hill, S.E. PEARCE Arthur 740350 Medal card : Pte. - 25th London Regt. - India .G.S. Medal Afghan 1919. [1/25th Regt. Address Book*] - 'D' Coy. - L.Cpl. - 35 Raglan Rd, Plumstead, S.E. PEARCE Charles J. 742416 Medal card : (1) 25th London Regt. (2) Pte. - Middlesex Regt. - no.G/51735. PEARCE Charles William 536, 665 Chelsea Pensioner record. PEARCE George William 742500 Medal card : Pte. - 25th London Regt. Roll : India 12-6-17 to 11-3-19. [1/25th Regt. Address Book*] - 'B' Coy. - 31 Hackney Grove, Mare St, Hackney, N.E. PEARCE Harold G. (or H.C.?) 2139 & 740890 Medal card : Pte. - 25th London Regt. [1/25th Regt. Address Book*] - 'A' Coy. - (as H.C. Pearce) 1 Roseford Tce, Shepherd's Bush, W.
PEARCE William R. 3211 Medal card : (1) 25th London Regt. (2) Pte. - Middlesex Regt. - no.267497. PEARSE Albert Thomas 1682 & 740557 Medal card : A/Sgt. - 25th London Regt. [1/25th Regt. Address Book*] - 'D' Coy. - Sgt. - 42 Norwood Rd, Herne Hill, S.E. PEARSE Richard 784 Chelsea Pensioner record. PEARSON Charles W. 740444 Medal card : Pte. - 25th London Regt. [1/25th Regt. Address Book*] - 'C' Coy. - 11 St. John's Church Rd, Clapton, N.E. PEARSON Harold Served in India & Mesopotamia. See - Documents at Imperial War Museum. Possible medal card - Pearson, Harold - (1) Cpl - Northumberland Fusiliers - no.21906. (2) Army Cycle Corps - no.14119. PEASE Herbert A. GS.58016 Medal card : (1) Pte. - 25th London Regt. (2) Royal Fusiliers. PECK Herbert C. 1149 Medal card : (1) Pte. - 25th London Regt. (2) Pte. - Machine Gun Corps - no.94567. India .G.S. Medal Afghan 1919. Card address - Ivy Cottage, Haylewood?, Friston, nr. Saxmundham, Suffolk. PECKHAM Albert 658, 704 Chelsea Pensioner record. PEMBERTON A. Medal roll (Officers) - 25th London Bn. Attached Tank Corps. Major. PENN Oswald Frank 2410 & 741023 Medal card : Pte. - 25th London Regt. Card address - Dagohai, Ridge Rd, North Cheam, Sutton, Surrey. [1/25th Regt. Address Book*] - 'C' Coy. - Brent Knoll, Park Hill, Carshalton, Surrey. Nominal roll -India to UK. Formerly 25th London. See more. PENNELL Percy H. 2699 & 741161 Medal card : Pte. - 25th London Regt. [1/25th Regt. Address Book*] - 'B' Coy. - 35 Ferndene Rd, Herne Hill, S.E. PENROSE Clements 1779 Medal card : (1) Pte. - 25th London Regt. (2) Somerset Light Infantry - no.275075. PENROSE Samuel Francis 167 Chelsea Pensioner record. PERCY Fred 1099 Medal card : (1) Pte. - 25th London Regt. (2) Machine Gun Corps - no's - 191209 & 191902. [1/25th Regt. Address Book*] - 'A' Coy. - 16 Adeney Rd, Hammersmith, W.
PERKINS A. J. 1683 Medal card : (1) Pte. - 25th London Regt. (2) A/Sgt - Somerset Light Infantry - no.275033. PERKINS Ernest Albert 1811 & 740645 Medal card : Pte. - 25th London Regt. - India .G.S. Medal Afghan 1919. [1/25th Regt. Address Book*] - 'B' & 'C' Coy. - 18A Danehurst St, Fulham, S.W. PERRETT Arthur 1809 & 740643 Medal card : Sgt. - 25th London Regt. - India .G.S. Medal Afghan 1919. [1/25th Regt. Address Book*] - 'A' Coy. - Sgt. - 37 Howe Rd, Shepherd's Bush, W.
PERRY A. G. Mentioned in Old Comrades Bulletin no. 89. Possible typo of F. G. ? PERRY Frank 2010 & 740787 Medal card : (1) Pte. - 25th London Regt. (2) Labour Corps - no.510092. (3) Royal Engineers - no.547745. PERRY Frederick C. 3028 Medal card : (1) Pte. - 25th London Regt. (2) Army Cycle Corps - no.13757. (3) 18th London Regt. - no's 7115 & 594170. PERRY Percy Victor 2566 & 741082 Medal card : Pte. - 25th London Regt. - India .G.S. Medal Afghan 1919. [1/25th Regt. Address Book*] - 'C' Coy. - 525 Garrett Lane, Wandsworth, S.W. PESKOFF Abraham 742070 Medal card : (1) Pte. - 25th London Regt. (2) Rifle Brigade - no.64214. [1/25th Regt. Address Book*] - 'C' Coy. - 90 City Rd, Roath, Cardiff. Pt. - 1/25th London Bn. - British Jewry book of honour. Photo. PETCH Alfred Thomas 2100 & 740857 Medal card : Pte. - 25th London Regt. - India .G.S. Medal Afghan 1919. [1/25th Regt. Address Book*] - 'D' Coy. - 22 Angel Rd, Hammersmith, W.
PETCHEY William 742378 Medal card : (1) Pte. - 25th London Regt. (2) Royal Fusiliers - no.GS.98321. [1/25th Regt. Address Book*] - 'A' Coy. - 43T? (431?) Lewis Bldgs, Chelsea, S.W. PETERS Thomas 1617 & 740510 Medal card : Pte. - 25th London Regt. [1/25th Regt. Address Book*] - 'D' Coy. - 106 Vassel Rd, Brixton, S.W. PETT Claude J. 1799 & 740634 Medal card : A/Sgt. - 25th London Regt. PHILLIPS Christopher J. 2392 & 741000 Medal card : Pte. - 25th London Regt. [1/25th Regt. Address Book*] - 'C' Coy. - Coley Lane, Little Haywood, Staffs. PHILLIPS Edgar 1618 & 740511 Medal card : Pte. - 25th London Regt. - India .G.S. Medal Afghan 1919. [1/25th Regt. Address Book*] - 'D' Coy. - 64 Culverden Rd, Balham, S.W. PHILLIPS James H. 742815 Medal card : Pte. - 25th London Regt. Served from 14.11.17 to 21.3.19. PHILLIPS R. W. Medal roll (officers) - 25th London Rgt., attached 22nd London Rgt. 2nd Lieut. PHILLIPS S. [1/25th Regt. Address Book*] - 'A' Coy. - 26 Wimbledon Rd, Garrett Lane, Tooting, S.W. PHILLIPS William Alfred 2042 & 740807 Medal card : Pte. - 25th London Regt. Nominal roll -India to UK. [1/25th Regt. Address Book*] - 'C' Coy. - 26 Albert Rd, Hounslow, W.
PHILLIPS William Walter 742071 Medal card : Pte. - 25th London Regt. - India .G.S. Medal Afghan 1919. [1/25th Regt. Address Book*] - 'C' Coy. - 22 Boxendale St, Barnet Grove, Bethnal Green, E.
PHILPOTT George E. 379 Medal card : (1) Pte. - East Kent Regt. - no.25737. (2) Labour Corps - no.650234. (3) Pte. - 25th London Regt. Card address - 20 Shrubbery Rd, Southall, Middlesex. PHYTHIAN Herbert J. 742455 Medal card : (1) Pte. - 25th London Regt. (2) Somerset Light Infantry - no.30870. (3) Pte. - North Staffordshire Regt. no.57709. India .G.S. Medal Afghan 1919. Card address - 76 Rommany Rd, West Norwood, London SE27. PICKFORD Hubert Victor Fred 705 Medal card : (1) Pte. - 25th London Regt. (2) Machine Gun Corps - no.94415. (3) 2/Lt. - Indian Army. Card address - 15 Greyswood St, Streatham Pk, SW16. PICTON Gilbert Henry Medal card : (1) Pte. - Honourable Artillery Company - no.3961 (2) 2/Lt. - 25th London Regt. Served France 27.10.15. Card address - 'Clarens', 61 Bascombe Rd, Southend-on-Sea. Medal roll (officers) - 25th London Rgt., attached 18th London Rgt., 2 Lieut. PIEREZ Percy Edmund James 740235 Medal card : A/Cpl. - 25th London Regt. - India .G.S. Medal Afghan 1919. [1/25th Regt. Address Book*] - 'B' Coy. - L.Cpl. - 47 Queen's Rd, Finsbury Park, N.
PIGGOTT Samuel Archibald 749 Chelsea Pensioner record. PIKE Enoch Ernest 741775 Medal card : Pte. - 25th London Regt. Posted to 10th London R. 1(a) France 25.7.17 to 1.11.18. PIKE Frederick L. 931 & 740097 Medal card : A/Sgt. - 25th London Regt. [1/25th Regt. Address Book*] - 'A' Coy. - Cpl. - 2 Erpingham Rd, Putney, S.W. PIKE Geoffrey Frank 2098 & 740855 Medal card : Pte. - 25th London Regt. - India .G.S. Medal Afghan 1919. [1/25th Regt. Address Book*] - 'D' Coy. - L.Cpl. - 2 Erpingham Rd, Putney, S.W. PILCHER Joseph H. 1871 & 740692 Medal card : Pte. - 25th London Regt. [1/25th Regt. Address Book*] - 'C' Coy. - Whitcott, Whitechurch Lane, Edgeware. PINNOCK W. J. [1/25th Regt. Address Book*] - 'C' Coy. - 15 Perrymead St, Fulham, S.W. PIPER James Thomas 741946 Medal card : Pte. - 25th London Regt. PITCHES Frederick William 2722 & 741175 Medal card : Pte. - 25th London Regt. - India .G.S. 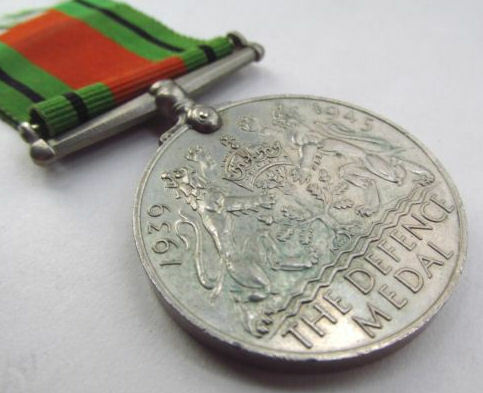 Medal Afghan 1919. PITFIELD Richard C. 2473 Medal card : (1) Pte. - 25th London Regt. (2) Army Cycle Corps - no.13556. (3) Queen's Regt. - no.203782. PITHER Frederick J. 1014 Medal card : (1) Pte. - Machine Gun Corps - no.94570. (2) Pte. - 25th London Regt. PITT Bertie Reginald 741193 Died 25 Nov 1918. PIZZEY Arthur William 741414 Medal card : A/Sgt - 25th London Regt. - India .G.S. Medal Afghan 1919. [1/25th Regt. Address Book*] - 'D' Coy. - Sgt. - 64 Cemetery Rd, Ipswich. PLUMER Thomas R. 2661 & 741139 Medal card : Pte. - 25th London Regt. [1/25th Regt. Address Book*] - 'A' Coy. - 22 Cole St, Gt. Dover St, E.C. PLUMTON Reginald R. 1619 Medal card : (1) Pte. - 25th London Regt. (2) Lt. - Indian Army (3) Capt.- Indian Army Reserve of Officers. Card addresses - (1) 7 Lordsmeade Tce, Lordship Lane, Tottenham, N17. (2) 144 The Avenue, Tottenham, N7. POCKLINGTON Herbert 2001 & 740781 Medal card : Pte. - 25th London Regt. [1/25th Regt. Address Book*] - 'B' Coy. - 23 Stewart Rd, Bournemouth. Attestation paper has William John, Medal roll William James. 200, 1827 & 740658 Medal card : Pte. - 25th London Regt. Medal roll : 25th Lond. R., Posted to 17th London Regt. 1(a) France 11.2.17 to 24.9.18. - Bookbinder, born ca. 1874 in Kennington. - Next of Kin wife - F. Pocklington, 58 Vant Rd, Mitcham Rd., Tooting, SW.
POLLARD Albert Edward Medal card : (1) 2/Lt. - 20th London Regt. (2) Lt. - 25th London Regt. - India .G.S. Medal Afghan 1919 (followed by notation - Ineligible). Card address - High St, Arundel, Sussex. POLLARD Hugh Bertie Campbell Medal card : (1) 2/Lt./Capt - 25th London Regt. (2) Capt - Intelligence Corps. Served France 10.12.14. Card address - 22 Londoun Rd, St. Johns Wood, NW8. Further info. POMEROY Alfred Ernest No record in medal cards but has a CWGC grave stone. [1/25th Regt. Address Book*] - 'B' Coy. - 65 Kyle Rd, West Side, Clapham Common, S.W. POPPY George K. 2781 & 741203 Medal card : Pte. - 25th London Regt. [1/25th Regt. Address Book*] - 'A' Coy. - 1 Rose Tce, Newmarket. PORTER Arthur Robert 2841 & 741242 Medal card : Pte. - 25th London Regt. - India .G.S. Medal Afghan 1919. [1/25th Regt. Address Book*] - 'D' Coy. - 25 Gunton Grove, Chelsea, S.W. PORTER Cyril C.F. 2899 & 741269 Medal card : Pte. - 25th London Regt. [1/25th Regt. Address Book*] - 'B' Coy. - 143 Lavender Rd, Battersea, S.W. PORTER Francis Charles 903 Chelsea Pensioner record. PORTER John Edlin 2898 & 741268 Medal card : Pte. - 25th London Regt. - India .G.S. Medal Afghan 1919. [1/25th Regt. Address Book*] - 'D' Coy. - 143 Lavender Rd, Battersea Rd, S.W. PORTER Walter F. 1743 & 740598 Medal card : A/Cpl. - 25th London Regt. Photo. [1/25th Regt. Address Book*] - 'B' Coy. - Cpl. - South St, Epsom. POST Douglas 2085 25th (Reserve) Cyclist battalion. Information comes from a postcard sent to his brother, Pte A Post 2085 2/4th London Field Ambulance RAMC, from Richmond Park Camp, Roehampton (undated). POTTLE T. W. [1/25th Regt. Address Book*] - 'A' Coy. - 80 Doddington Grove, Kennington Park, S.E. POTTER G. W. [1/25th Regt. Address Book*] - 'C' Coy. - 25 Primrose Gdns, Bushey, Herts. POTTER William 122 Chelsea Pensioner record. POWELL George P. 1800 Medal card : (1) Pte. - 25th London Regt. (2) Somerset Light Infantry - no.275062. POWELL Richard H. 742449 Medal card : (1) 25th London Regt. (2) Pte. - Middlesex Regt. - no.51734. G.S.M. - Clasp Kurdistan. POWELL William Henry 1879 & 740697 Medal card : A/Sgt. - 25th London Regt. - India .G.S. Medal Afghan 1919. Card address - same as in address book below. [1/25th Regt. Address Book*] - 'A' Coy. - L.Cpl. - 32 Seago Rd, Lowestoft. POWER Ralph 581 Chelsea Pensioner record. PRALL Cedric Arthur 1040 & 740155 Medal card : (1) Pte. - 25th London Regt. (2) Pte./Signalman - Royal Engineers (T.F.). - no.2554297. PRATLEY Leonard C. 740777 Medal card : (1) Pte. - 25th London Regt. (2) Royal Warwickshire Regt. - no.234507. PRATT Ernest 2465 & 741037 Medal card : Pte. - 25th London Regt. - India .G.S. Medal Afghan 1919. [1/25th Regt. Address Book*] - 'B' Coy. - The Lodge, Edgecombe Hall, Beaumont Rd, Wimbledon Park, S.W. PRESTON Alfred 742115 Medal card : (1) Pte. - 25th London Regt. (2) Surrey Yeomanry (T.F.) - no.309178. India .G.S. Medal Afghan 1919. [1/25th Regt. Address Book*] - 'D' Coy. - 14 Aubrey Rd, Walthamstow, N.E. See more info. PRESTON William John 2505 & 741058 Medal card : Pte. - 25th London Regt. - India .G.S. Medal Afghan 1919. [1/25th Regt. Address Book*] - 'B' Coy. - 47 Chesterfield Grove, E. Dulwich. S.E. PRICE Alfred J. 856 Medal card : (1) Pte. - 25th London Regt. (2) 9th London Regt. - no's - 7031 & 393251. PRICE Alfred William 2208 & 740924 Medal card : Pte. - 25th London Regt. - India .G.S. Medal Afghan 1919. [1/25th Regt. Address Book*] - 'A' Coy. - 7 Balverie Rd, Merton Rd, Wandsworth, S.W. PRICE / PRYCE Harold R. 3156 & 741396 Medal card : (1) Pte. - 25th London Regt. (2) Suffolk Regt. - no.1081. - India .G.S. Medal Afghan 1919. [1/25th Regt. Address Book*] - 'C' Coy. - L.Cp. - (as Pryce) 5 Suffolk Rd, Lowestoft. PRICE Thomas 2499 & 741054 Medal card : Pte. - 25th London Regt. - India .G.S. Medal Afghan 1919. [1/25th Regt. Address Book*] - 'C' Coy. - L.Cpl. - 99 Dudley Dgns, W. Ealing, W.
PRIEST William Charles 2789 & 741207 Medal card : Pte. - 25th London Regt. - India .G.S. Medal Afghan 1919. [1/25th Regt. Address Book*] - 'B' Coy. - 11 Averill St, Fulham, S.W. PRIESTLEY Alick 1924 Medal card : (1) 1/25th London Regt. (2) Pte. - Middlesex Regt. - no.267479. Served from 7.2.14 to 4.3.19. PRIESTLEY John William 1133 & 740214 Medal card - Pte. / Drummer - London Regt. IGSM roll confirms 1/25th London Regt. - India .G.S. Medal Afghan 1919. [1/25th Regt. Address Book*] - 'A' Coy. - 25 Wiseton Rd, Wandsworth Common, S.W. PRIME William 1020 Medal card : (1) Pte. - 1/25th London Regt. (2) I.G.B. Somerset Light Infantry - no.275012. (3) Pte. - Northumberland Fusiliers - no.206268. India .G.S. Medal Afghan 1919. PRINGLE L. F. (misprint for R.F.?) [1/25th Regt. Address Book*] - 'B' Coy. - Ravenswood, 45 Sutton Court Rd, Chiswick, W.
PRINGLE Robert F. 1313 Medal card : (1) Pte. - 25th London Regt. (2) Royal Fusiliers - no.GS.98338. PRITCHARD James William 742816 Medal card : (1) Pte. - Royal Fusiliers - no.5548. (2) 25th London Regt. Medal roll : 25th London R., Pte., 22 Royal Fusiliers., Pte., 1(a) France 18.4.17 to 28.11.17. PRITCHARD John A. 2578 & 741091 Medal card : Pte. - 25th London Regt. [1/25th Regt. Address Book*] - 'A' Coy. - 109 Mysore Rd, South Side, Clapham Common, S.W. PRITCHARD Walter 1620 & 740513 Medal card : Pte. - 25th London Regt. [1/25th Regt. Address Book*] - 'D' Coy. - Staplehurst, Kent. PROBERT Rashleigh C. 1620 & 740559 Medal card : (1) Pte. - 25th London Regt. (2) Royal Warwickshire Regt. - no.234508. PROCKTER Henry William 2441 & 741024 Medal card : A/Cpl. - 25th London Regt. He also received the WW2 Defence Medal. His medals were sold on Ebay in 2018. [1/25th Regt. Address Book*] - 'D' Coy. - Cpl. - 32 Regina Rd, N.
PRYCE / PRICE Harold Richard 3156 & 741396 See under PRICE. PRYOR William J. 1645 Medal card : (1) 17th London Regt. (2) A/C/Sgt. - 25th London Regt. (3) Labour Corps - no.377067. PUTNAM Harold 478 & 740026 Medal card : C.Q.M.S / Sgt. - 25th London Regt. - India .G.S. Medal Afghan 1919. [1/25th Regt. Address Book*] - 'D' Coy. - C.Q.M.S. - 10 dungervan Ave, Putney, S.W. PUTTOCK Charles 2890 & 741265 Medal card : Pte. - 25th London Regt. [1/25th Regt. Address Book*] - 'A' Coy. - Silcox, Cheam Common, Worcester Park Rd, S.W. PYE Gilbert W. 3127 & 741374 Medal card : Pte. - 25th London Regt. [1/25th Regt. Address Book*] - 'A' Coy. - 85 Park Rd, Lowestoft. PYETT Cecil William 3183 & 741420 Medal card : A/Cpl. - 25th London Regt. - India .G.S. Medal Afghan 1919. [1/25th Regt. Address Book*] - 'D' coy. - L.Cpl. - Hill House, Witesham, Suffolk. PYLE Percy D. 1815 & 740649 Medal card : Pte. - 25th London Regt. See Photos. [1/25th Regt. Address Book*] - 'A' Coy. - 14 Heathfield Rd, Wandsworth, S.W. PYPER Arthur Leslie 741808 Medal card : Pte. - 25th London Regt. Posted to 5th London R. 1(a) France 3.4.18 to 20.2.19. QURBAN HUSSEIN Medal card : Bearer. - 1/25th London Regt. Applied for I.G.S.M.